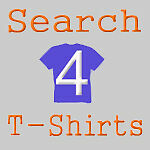 Search4tshirts store offers consumers great values on rock band hats, band hats, concert tour t-shirts, and rock t-shirts. We also sell 80s tees vintage shirts, licensed sports apparel, sports t-shirts, sweatshirts, hoodies & more. If you have any questions please contact us.